2. A battleship armed with all heavy guns. 4. A warm garment made of thick cloth. 5. A type of acoustic guitar with a large body and loud sound. Literally “fear nothing”, from dread (fear), from Old English adraedan, ondraedan (fear) + nought (nothing), from naught, from na (no) + wiht (thing). Earliest documented use: 1573. Sense 1 is inspired from the 1573 English ship Dreadnought. 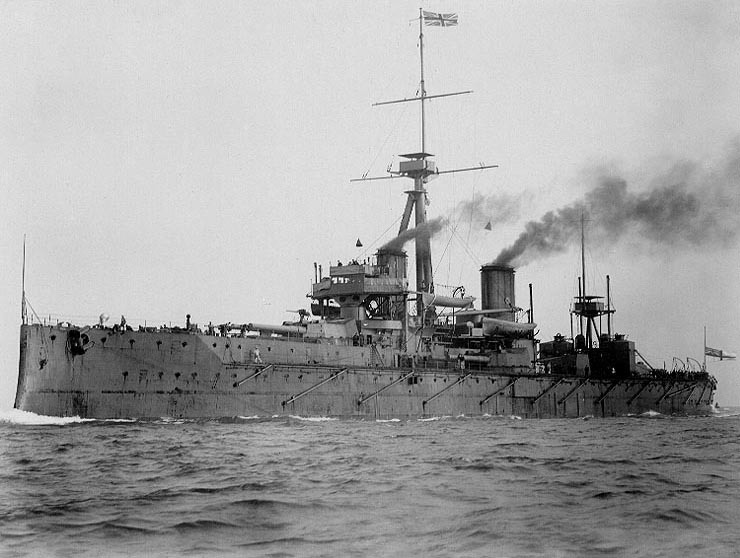 Sense 2 & 5 are from the 1906 battleship HMS Dreadnought which had heavy guns. Sense 3 & 4 are from heavy garments worn on ships to protect from the elements. Christine Merrill; The Secrets Of Wiscombe Chase; Harlequin; 2016. See more usage examples of dreadnought in Vocabulary.com’s dictionary.